I think this is the prettiest tree on the block. At least until the rest start changing. This entry was posted in Emily. This is so cool! I love the way that the light is shining through it! Great picture, Em! 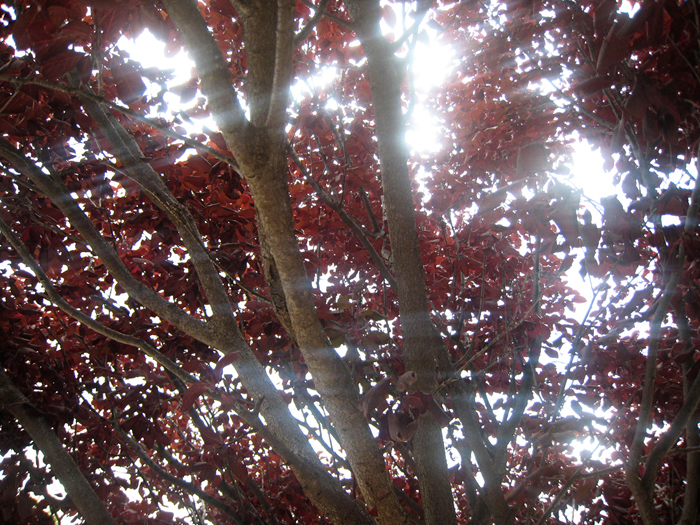 Beautiful tree — love the red leaves & the shining light. Woohoo! I love that picture. It doesn’t even look real. Nice job, Em! Wow, that’s awesome! I think you definitely inherited your mama’s photography genes!